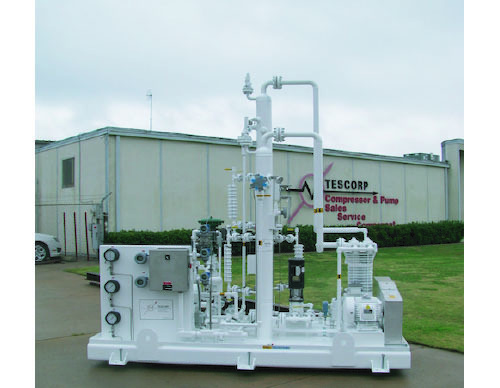 The TESCORP "BGB-1" SERIES is a completely self-contained compression system for applications for wet, saturated and corrosive gas stream, flare gas recovery, or small flow, medium pressure process gas applications. Constructed as a compact and fully-contained system, it is constructed with a Blackmer air-cooled, single-stage, pressure-lubricated,reciprocating gas compressor and TESCORP fully automated unit technology and components. 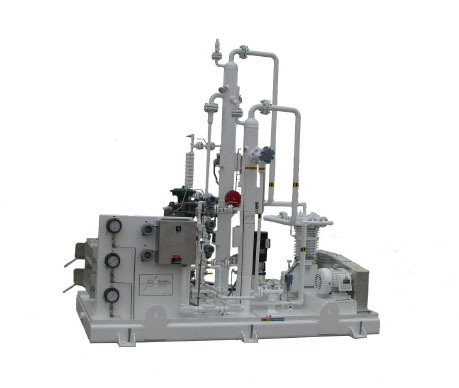 The BGB-1 Gas Booster Unit is designed for applications in field gas, refinery, or process applications where difficult,saturated, or corrosive gas requirements exist.